It's a very late '90s/early '00s thing to have a room full of speakers hooked up to your TV. These days, it's all about the humble soundbar, which provides massive cinema-style sounds, but at a fraction of the cost and size. But not all of them are created equal. 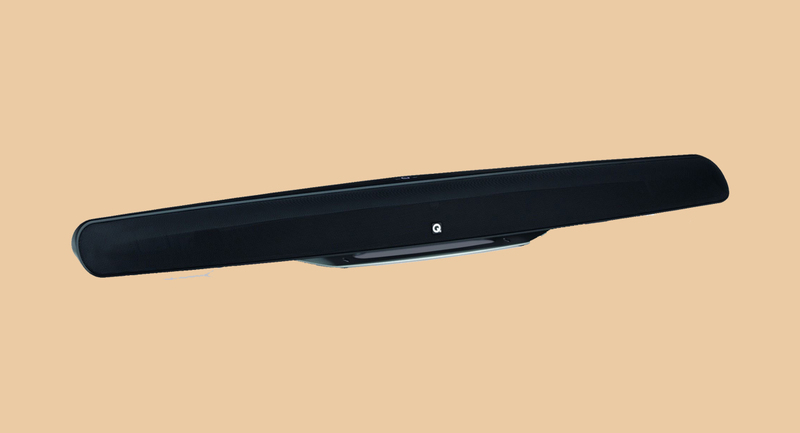 Thankfully, Q Acoustics' M3 Soundbar is a cut above the competition. It looks great, sounds great, it won't take up a massive amount of space under your TV, and it doubles as a Bluetooth speaker. It's an award-winning soundbar for a reason. The Q Acoustics M3 Soundbar is available for purchase by heading here. Gym memberships are expensive, they typically house a high percentage of douchebags, they smell, and your favourite exercise machine is always being hogged. With the OYO Personal Gym, all of those issues are pushed to one side (unless you're the douchebag, in which case, sorry). Courtesy of the SpiraFlex® Technology, which is used by NASA astronauts, the OYO Personal GYm uses different levels of resistance to provide a full body workout. No more excuses! 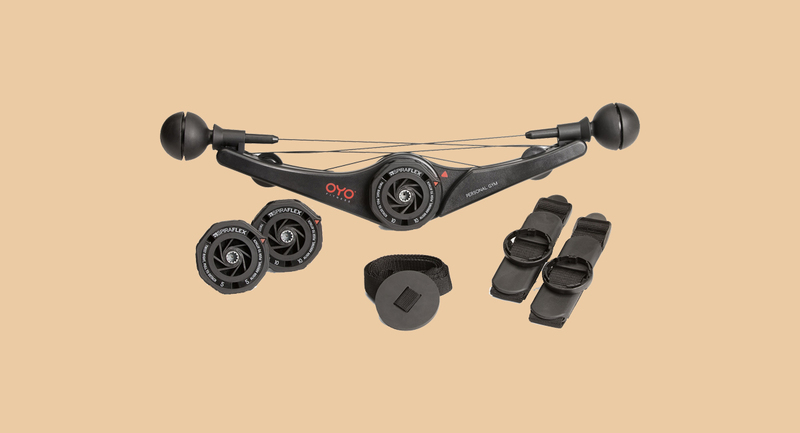 The OYO Personal Gym is available for purchase by heading here. You'll never try a pair of headphones quite like the Nuraphone headphones. 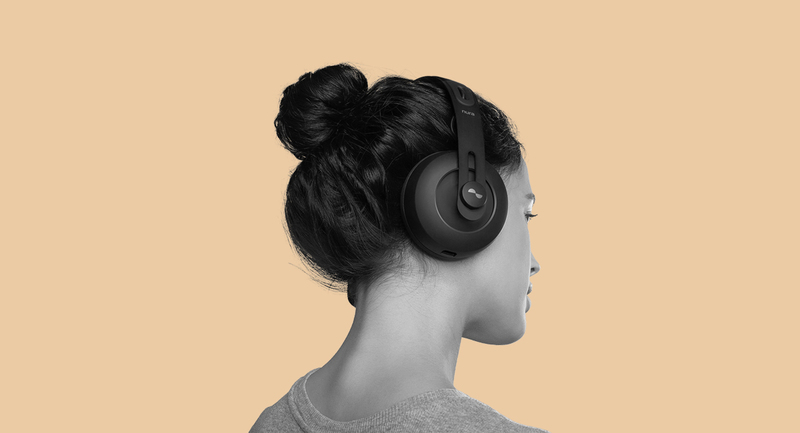 Design-wise, they look like normal over-ear headphones, but look closer and you'll notice they feature an in-ear part too, making them pretty great for noise cancellation. Secondly, using the Nura app, you're given a bunch of audio tests to personalise the sound to your specific audio makeup. Add this to the incredible 'Immersion' mode, which makes you feel like you're in the front row of a show, and you've probably found your new favourite set of cans. The Nuraphone Headphones are available for purchase by heading here. A pair of socks that you can wear for seven days straight? Damn! 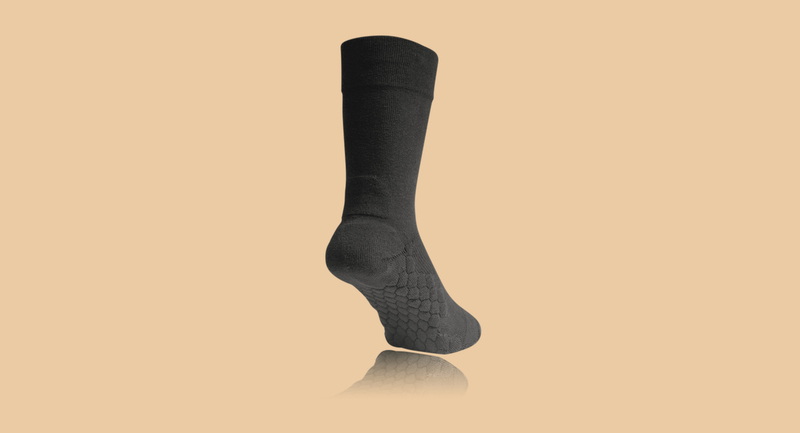 The NeverQuit socks feature HexaShock Technology for supreme comfort, reinforced support in the arch, advanced mesh ventilation, anti-blister reinforcement, and non-toxic zinc oxide-infused fibers, which elminate pathogens - allowing you to keep them on day-after-day. Best socks of the year. NeverQuit socks are available for purchase by heading here. Rather than absorbing sound like traditional foam earplugs, Flare Audio's Sleeep® PRO earplugs block sound using metal. And you can really hear (and feel) the difference when you pop these in. If you're struggling to get to sleep due to noisy neighbours, or a snoring partner, then you know what to do. The Flare Audio Sleeep® PRO earplugs are available for purchase by heading here.